An oldie but a goodie from our archives back by popular demand. Bake in a 350 degree oven for about 15 minutes or until cheese melts. Serve with corn chips or crackers. Over the last few weeks Kreinik has been on the road at TNNA Phoenix and CHA Anaheim shows. 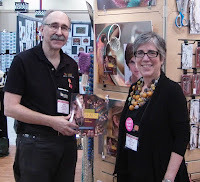 During these shows a new knitting book was released with some projects featuring Kreinik threads. 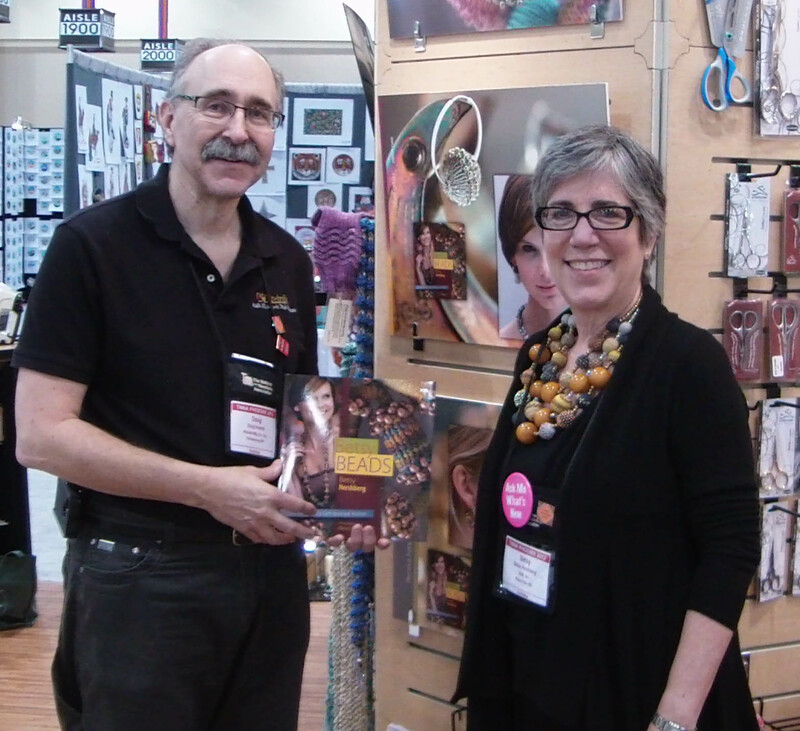 The book is titled Betsys Beads and is written by Betsy Hershberg (pictured right with Doug Kreinik). 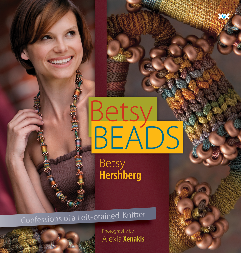 The book features Tech trials to teach easy and effective ways to knit with beads. It also boasts more than 30 projects whimsical to elegant—bring the design process to life with simple approaches, focused insights, creative coaching, and plenty of “What if . . .?” options. Kreinik Silk Serica in 4093 Light Icy, 8055 Medium Dark Ash Grey, 1032 Lightest Pink, 1205 Dark Victorian Rose, 4096 Dark Icy, 4196 Dark Jade,2067 Very Dark Pumpkin, 1117 Very Dark Christmas Red, 3062 Lightest Henna, 4193 Light Jade, 6083 Light Grape, 6116 Dark Wisteria. Betsy Beads is published by XRX books. To get your copy just visit the Knitting Universe website.